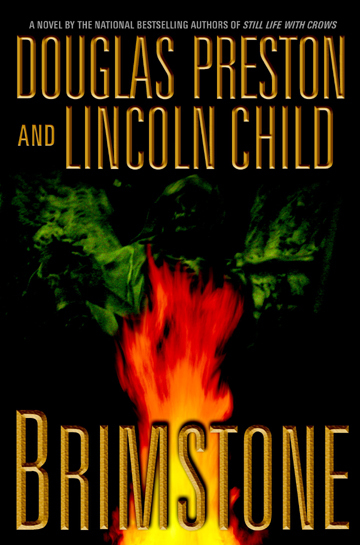 ''Brimstone,'' the new thriller from Douglas Preston and Lincoln Child, hit bookstores Aug. 2 on the crest of a wave of buzz generated largely by fans who love the writers' singular mixture of ancient folklore and modern technology. ''Brimstone'' is scarier, more of a thrill ride. It's just too scary, or too much fun, to put down once it hooks the reader. And it's the work of co-writers who haven't seen each other in person since 1999. 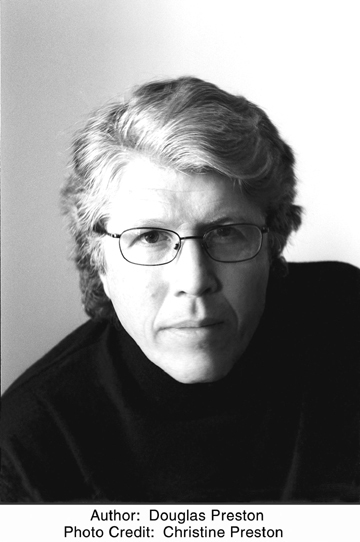 Preston and Child, whose thrillers have included ''Relic,'' ''The Cabinet of Curiosities'' and ''Still Life with Crows,'' wrote their last five books together by phone and e-mail. During four of those years, Preston was out of the country, in Florence, Italy, before moving back to a family property in Maine. And don't even think about getting Child, who lives in New Jersey, on an airplane. The first body to show up in ''Brimstone'' is that of an art critic who'd spent his last hours recanting as many of his nasty reviews as possible and calling a priest to beg for ways to cast out the devil. When his corpse is found there is a cloven footprint burned into the floor nearby, with bits of sulfur-- brimstone -- scattered about. But the weird part is that the art critic had burned from the inside out. Almost no charring of skin, but internal organ temperatures at higher than 120 degrees, hours after death. The work of the devil? Spontaneous combustion? Or something modern? It's just the sort of conundrum readers expect from Preston, who was worked at the American Museum of Natural History, and Child, who was a systems analyst. 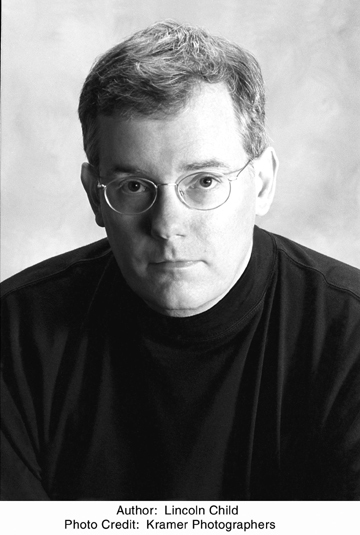 The novel is a terrific thrill ride that dips into such arcana as ancient means of calling forth the devil, problems the Chinese may be having developing intercontinental ballistic missiles, the value of opera as opposed to non-vocal classical music and the formulas used by Antonio Stradivari for the varnish of his violins. All part of the complex tapestry of mystery woven by two writers working at the top of their ability. And Preston did, taking readers from a museum where Stradivari and Amati violins are lovingly kept to a ruined old campus where Alfred Nobel's company once made dynamite. ''The dark heart of Italy,'' Preston says. ''The places most tourists never see.'' The details -- modern and historic -- often are explained on the fly by one of the best of the Preston-Child creations, FBI Special Agent Aloysius Pendergast, who is teamed up in this novel with his acquaintances from ''Relic,'' Vincent D'Agosta (now a sergeant with the Southampton, N.Y., police department) and Laura Hayward (now a captain in the NYPD). Preston and Child say their writing technique is still evolving, even after a decade of working together. In general, their novels begin with conversation. That mountain peak on the other side of the valley was known to them at the start of writing ''Brimstone,'' they say --they knew Pendergast and D'Agosta would be in a lot of trouble in a very old Italian castle. Mystery buffs are likely to be amused. A key character in ''Brimstone'' is Count Fosco, who first appeared in ''The Woman in White'' by Wilkie Collins, who wrote what is considered the first mystery novel, ''The Moonstone.'' And, at the end of ''Brimstone,'' a character is bricked up in a castle niche, ala ''The Cask of Amontillado'' by Edgar Allan Poe, who is credited with writing the first modern mystery stories. ''Brimstone'' ends on a massive cliffhanger, bringing to mind Sherlock Holmes taking a header over Reichenbach Falls in ''The Adventure of the Final Problem'' by Conan Doyle, because a key character, one we like, is left behind those bricks.